Q.) Why does my eight month old wake up every 45 minutes to an hour all night long? I believe it has something to do with transition between sleep cycles but I am exhausted and don’t know what to do. The first thing I would ask you to do is visit your doctor simply to reassure yourself that your baby is in good health. I believe that one of the most important things we can give our babies is the ability to fall asleep on their own. Babies tend to sleep solidly for four hours after we put them into their cots. (roughly 7-11pm). After this point they come into a light sleep every 90 minutes. You say your baby is waking every 45 minutes this is half a sleep cycle! You poor thing! Now here’s the important part… the way you settle your baby to bed is what they then expect every time they come into a light sleep. If you rock them, feed them, sing to them, take them into your bed – they will need this to fall back to sleep again. But when we are tired we rarely think straight, so many parents entering the room of a crying baby will do a variety of things. This confuses the baby and makes falling to sleep even harder. So, it is best to place your baby into their cot awake after their bedtime milk and ensure the room is dark as you leave and close the door. Most babies will shout and moan until they have learned the skill of falling to sleep on their own. Once they can fall to sleep at 7/7.30pm you can relax in knowing that when they come into a light sleep they can settle themselves back when they are ready. Good luck with this. 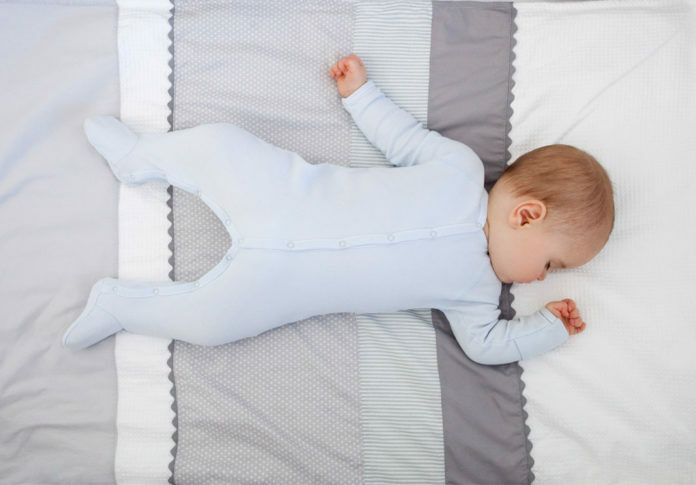 It isn’t easy to guide your baby to settle to sleep on their own, but once you have done it I believe it is one of the best gifts you can give your child.